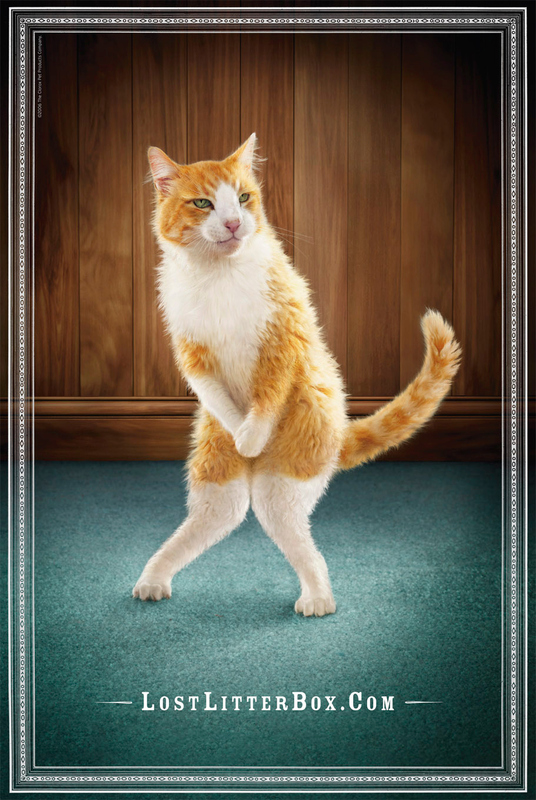 These cats dance around looking for their litter boxes. This project was tough, but lots of fun. The idea was to create three cats that can't find their litter boxes. 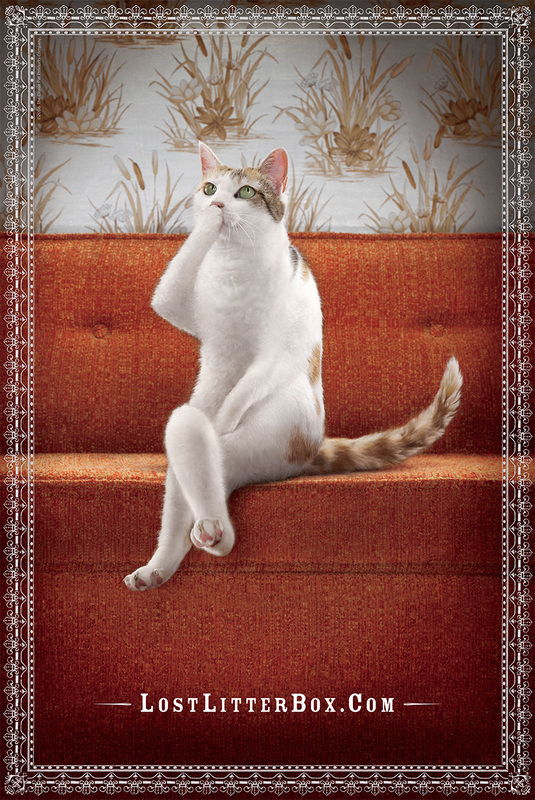 The art director wanted to make the cats poses look as natural as possible. Each cat also required a slightly different pose and facial expression. I used parts from numerous photos; retouching the fur, legs and joints. After roughing in the anatomy, I started painting individual hairs. For the expressions, I moved each cat's pupils and changed each facial expression with cloning and liquifying tools. Parts of the backgrounds were created in my 3D program and composited into each image. This series received First Place in PDN's 2006 Digital Imaging Contest Collaborative Division. The advertising campaign won a Silver Effie Worldwide Award. Fresh Step was in a cat fight with its litter competitors. To create distance from competition Fresh Step improved its product by adding carbon to enhance odor control. But odor control improvementswere standard stuff in litter, so cat owners aren't easily impressed. We needed to prove to this skeptical target that new Fresh Step with carbon eliminated odor better than any other litter. 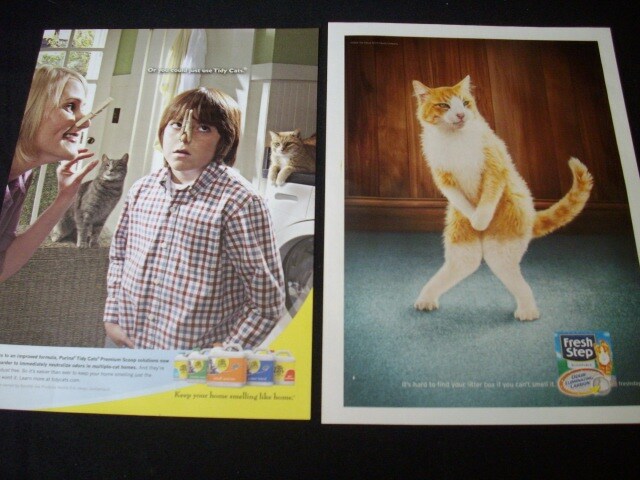 Our idea was to demonstrate that when you use Fresh Step, even cats can't smell their litter box. 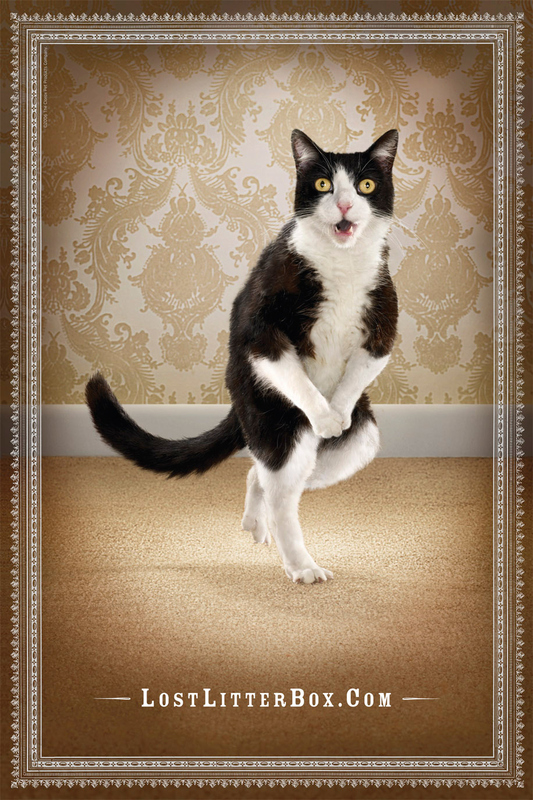 The Lost Litter Box idea was an unexpected way to emphasize the effectiveness of Fresh Step's odor-eliminating carbon. Campaign results more than doubled objectives, growing Fresh Step sales by 29% and category share by 18% in six months. Vicki Sanders, Group Acct. Dir. Dorian Sweet, Executive Creative Dir.